FUTURE LONDON |World Cities Day: London’s best idea? Last week Friday we celebrated the first official World Cities Day. As designated by the UN General Assembly last December, the day aims to raise awareness of urban challenges and solutions around the world. Over at Guardian Cities, 36 participants presented their ‘city’s best idea‘, with entries covering cities from Johannesburg, to Auckland, to Bogota. See also: What If – our spaces near the water became more public? London’s pitch, which eventually placed third in the contest, was to ‘re-introduce swimming in the River Thames.’ Chris Romer-Lee of Studio Octopi, the architecture practice behind the Thames Baths proposal, argued for the value of the water as a public space, saying: “Urban rivers are the lifeblood of the city: the largest public space, yet so often forgotten and underutilised. What if you could reclaim your river through swimming? Imagine swimming, surrounded by reeds that frame tantalising views of your city. The baths are not just for swimmers, but provide refuge and habitat for a wide range of flora and fauna”. The baths themselves are not permitted to touch the riverbed, instead floating on the surface of the Thames. The current form of the proposal is made up of a steel pontoon, surrounded by planted rock cages, and three filtered river water pools will sit within this pontoon. The deck itself will have to sit 120cm above the river in order to avoid contamination (swimming is not currently possible in the Thames given the sewerage overflow which still occurs). The estimated cost of the project is £8m, with the designers making a case to use crowdfunding to cover as much of the cost as possible in order to give Londoners ownership over the project. Special events and cultural activities are also proposed to help cover the costs. While London’s lidos and spots like the Hamstead Heath Ponds currently cater for swimming in the city, this bold reclaiming of London’s greatest natural asset is potentially a strong symbolic project. 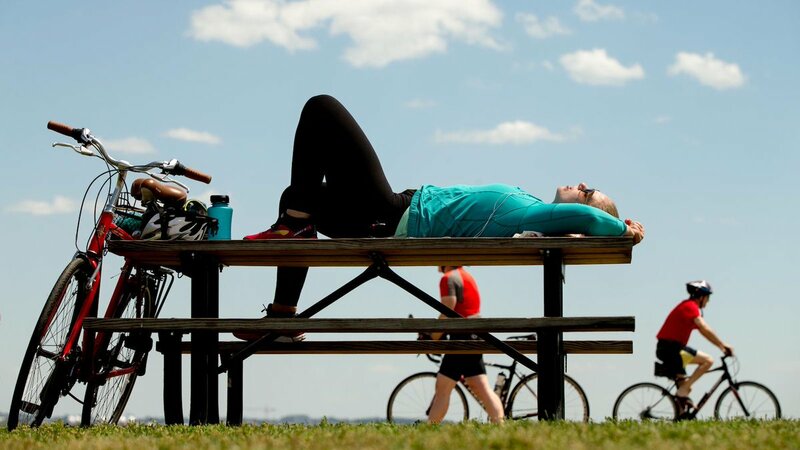 Creating a new public space on the river, funded as far as possible by citizens themselves, could be an empowering civic exercise. The project also has the potential to be captured by sponsors, to create yet another tourist-only attraction, or, depending on the chosen location, to contribute to the already uneven spread of amenities across the city. As London continues to face a destructive housing crisis, a battle for its architectural identity and ever-increasing pressures on its transport system, and as we consider the first World Cities Day- are we happy to call this London’s best idea? 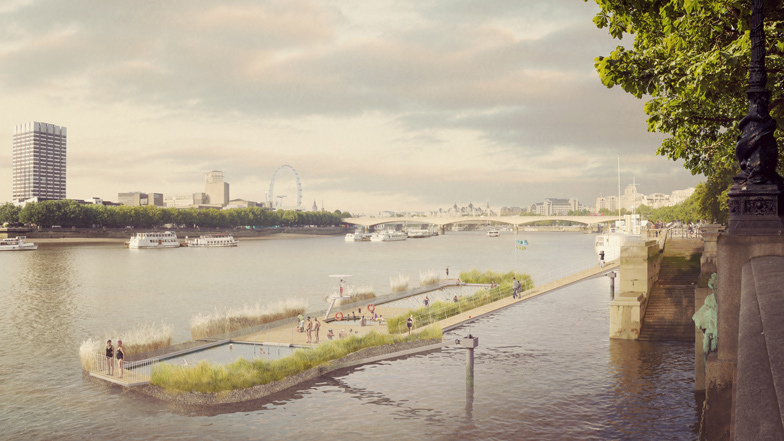 Image source: Thames Bath proposal by Studio Octopi.